The figures are Vietnam ANZACs from The Assault Group that I have attempted to paint up in US ERDL camouflage uniform for use as members of the Australian Special Air Service. 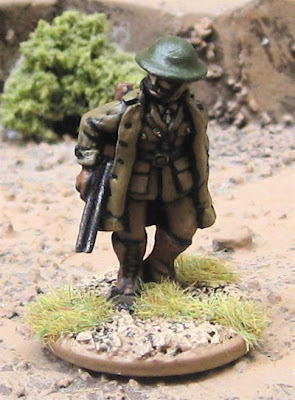 I have a few more ANZACs to paint up to complete two sections of regular infantry. Perhaps I should just pick up a couple more packs and make it a full platoon…? 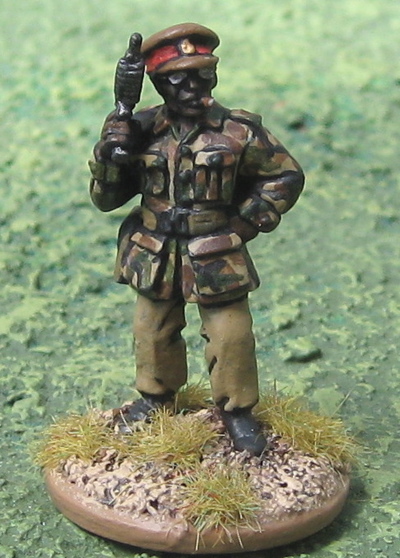 I have some WW2 Soviets and PAVN on the workbench… a smattering of other modern items… hard to say which will get finished up next. 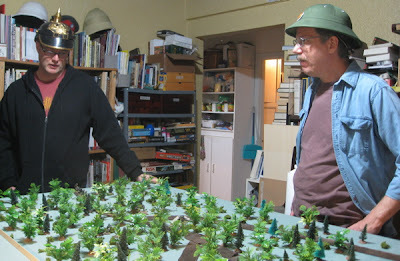 Then I got to thinking and realized I DO have a fair number of 28mm Vietnam War toys (most of the PAVN have been painted since that was posted)… and most of the Vietnam War was straight up infantry engagements… and I did happen to also pick up Ambush Valley (er… and Cold War Gone Hot… and… um… Bush Wars - what can I say I’m a bit of a completist...). But none of the scenarios in there looked like they were what I was looking for either… Then I remembered this Skirmish Campaigns book I had on the “Screaming Eagles at Hamburger Hill” and decided the scenarios in there might be a good place to start as I seemed to recall they were straight up infantry battles – US Army vs. PAVN. 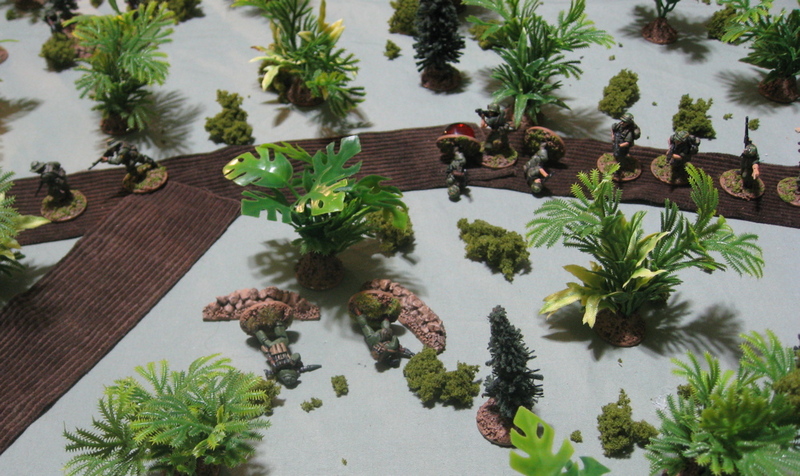 The first scenario, “A Walk in the Sun”, I previously played using Savage Worlds four years ago this week…!? The lead elements of B Company, 3/187 Airborne has been tasked with securing the peak of Dong Ap Bia for the new battalion CP. 2nd Platoon is leading the way. They are not expecting any enemy forces in the area. US forces must control both cross roads by the end of the game – ie. Have friendly troops adjacent with no active enemy troops within 10” OR control one cross road and exit 3 troops off the east board edge. North Vietnamese forces must prevent the US forces from completing their objectives. This is what we went with for victory conditions. 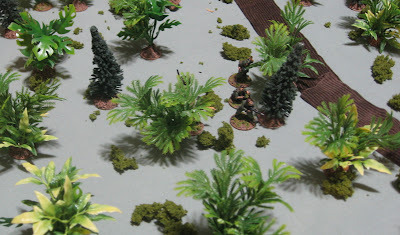 If I were to do it again I’d use something more in line with Force or Force victory conditions – points to the US for holding those and exiting guys off the table – plus points for killing capturing PAVN and the PAVN would get points for denying objectives and killing or capturing Americans…. The entire table was to be covered with triple canopy jungle so I called it all Dense Forest (which gives everyone solid cover +1 Defence die and should have reduced visibility to half optimum range – but I said it reduced it to optimum range – and reduced movement to only being able to use Tactical Movement). 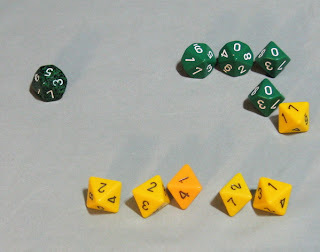 I wasn’t sure whether to just give the US the initiative for the whole game or just the first turn and then dice for it after. To limit the new mechanics I’d have to remember I went with giving the US the initiative for the whole game which I think worked out just fine. It was decided that that Christian and Gary would play the Americans and Rick would play the Vietnamese. 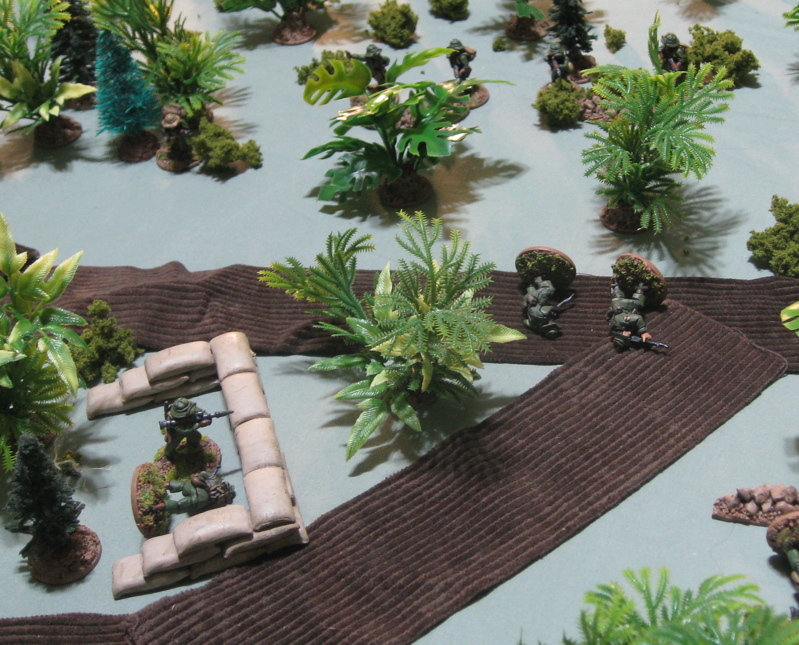 We rolled for the variable attachments and the Americans got an M60 MG team and the Vietnamese got a two-man bunker. The point team moves up the trail and the Americans enter on the trail. The point team was blissfully anware of the PAVN lurking so nearby in the woods. In the Skirmish Campaigns scenario is stated that the PAVN in the spider-holes could not be spotted until the fired or US troops were within 1 inch?! I just said they were “hidden” and said their position was camouflages (-1) - I said the sniper was also “Elusive” (for a further -1). The rest of the US squad moseying down the trail. One thing I’m not entirely clear on is exactly HOW MANY actions an initiative team can do in one turn, and which can be combined? It says you can move, or fire, or move then fire, or fire then move… and then there’s a whole bunch of others listed – one of which is attempt to spot hidden units… another is spot hidden units and fire at them… but it doesn’t say Move, then attempt to spot hidden units and fire at them if spotted…? 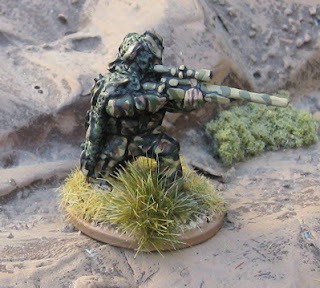 OR Attempt to spot hidden units and fire at them if spotted and if not them move?! Looking under “Spotting Hidden Units” I found making a rapid move modified spotting attempts so presumably the CAN move and spot. Another question that came up was HOW MANY hidden units can a single unit attempt to spot in a turn? I can’t imagine a unit ever being in a position where there’d be THAT MANY with int their Optimum Distance that they could… but I let them spot any that were within LOS/Optimum Distance. 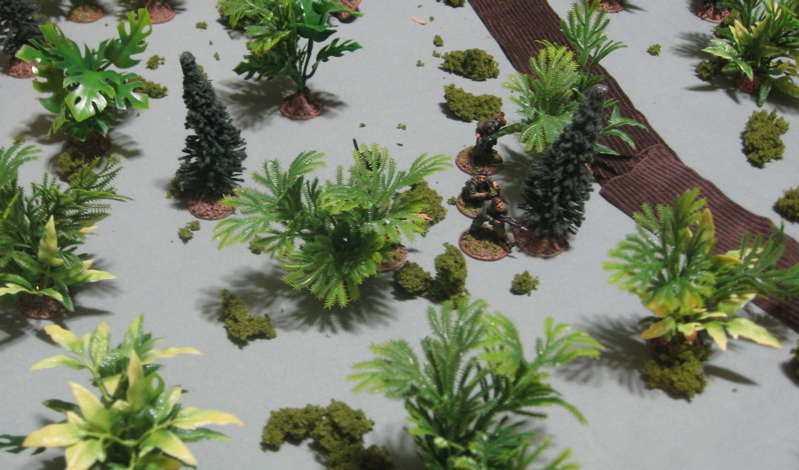 Anyway, in turn two the Americans all moved up and attempted to spot the PAVN lurking nearby and all failed to do so! Not having to react to any shooting, Rick opened up on the Americans in the End Phase. First of all the PAVN lit up the Fireteam #1 taking out the two riflemen. 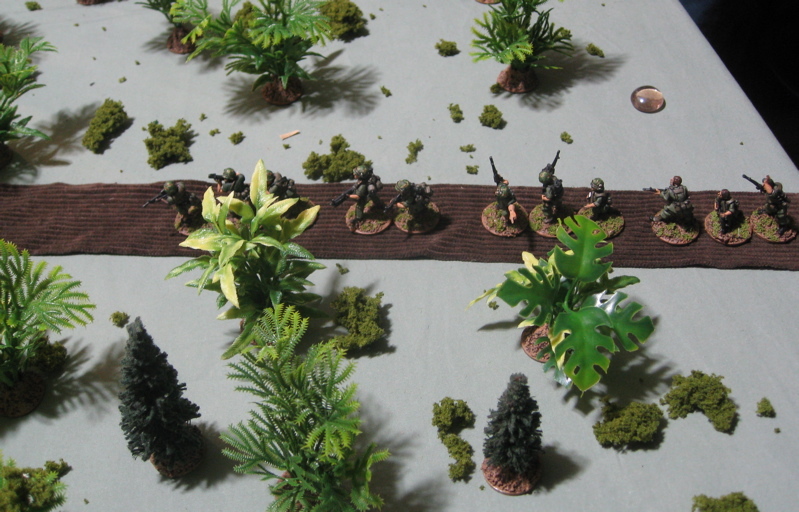 The remaining Grenadier failed morale and was pinned. Ruturning fire, however, he found a flechette round in his pouches and blasted away at the PAVN fire team , knocking them both out!? Next, RPG team #2 fired on the Point Team… and totally missed!? The Point team returned fire taking out the loader! 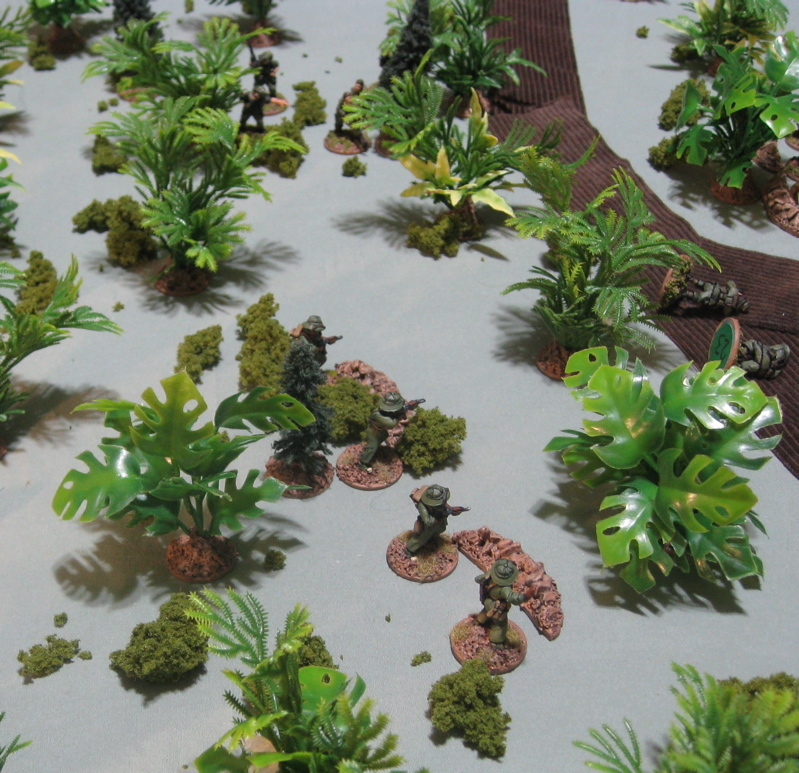 The PAVN fire team tehn lit up the Point Team, taking them both out. 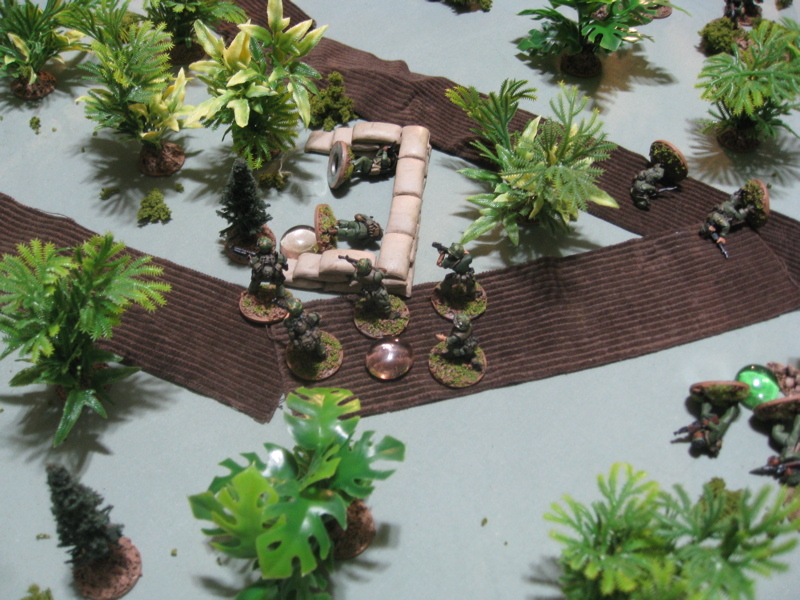 The US medic rushed forward to Fire Team #1 and got the two riflemen back on their feet with light wounds. 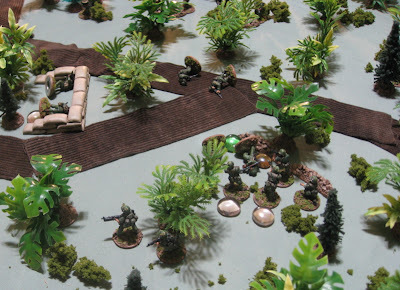 The PAVN RPG Gunner in the Bunker checked on his loader and discovered him to be seriously injured and spent the rest of the turn trying to staunch his wounds. Fire Team #1 and the M60 MG Team rushed off to the left overrunning the RPG #1 Teams’ position. Fire Team #2 and the Squad Leader and his Radio Operator Flanked off the right. As the US medic was in RPG Team #1’s position, he checked on them and found one to be lightly wounded and the other to be okay. They were taken prisoner. 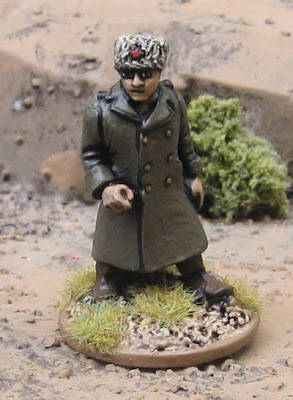 That’s one thing I LOVE about this game: Prisoners… people surrender, you have to take prisoners… It happens in real life, why does it happen in so few wargames…? After taking their prisoners, the rest of Fire Team #1 lit up the Log Bunker and took out the RPG gunner. 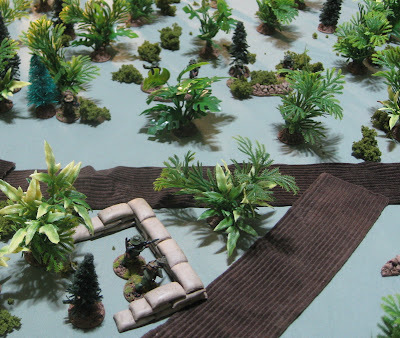 After that the M60 MG Team flanked around the side of the bunker – wanting to stay well out of view of the PAVN Fire Team across the trail on the other side of the bunker. Fire Team #2 and the Squad Leader continued to maneuver on the other flank. The PAVN Fire Team successfully hid. 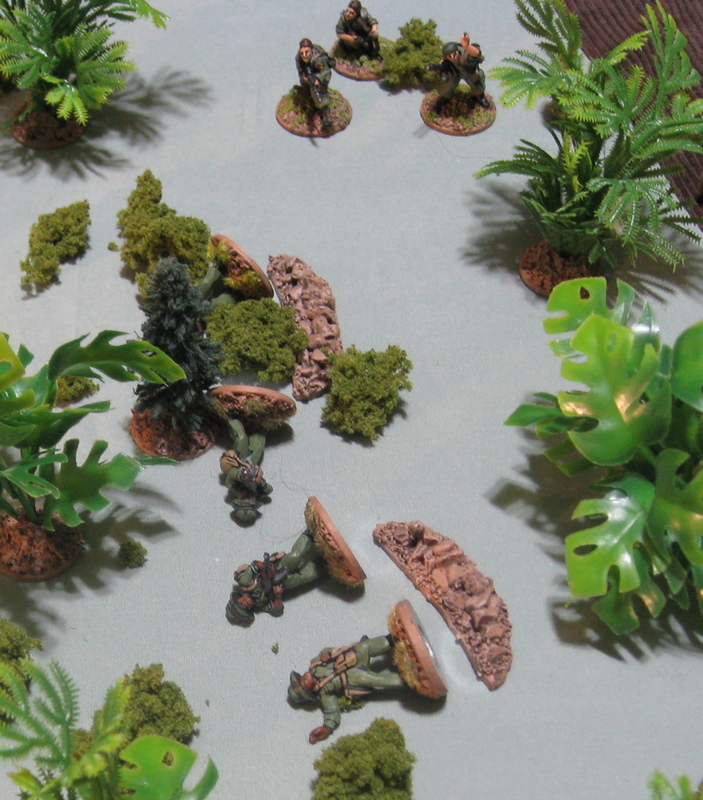 Part of Fire Team #1 (Assistant Squad Leader, the Grenadier, and the Medic) split from the rest of the Fire Team (the Riflemen) and left him in charge of the two prisoners. 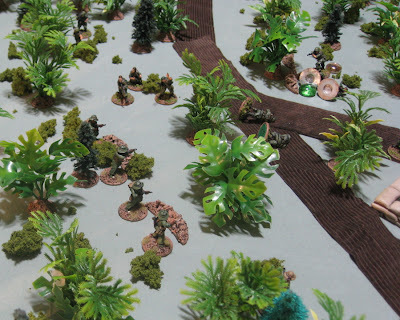 They rushed the bunker hoping to check on and hopefully capture the PAVN casualties within. They were joined by the M60 MG Team. Wow… Those airborne dudes don’t mess around! That took out the whole PAVN Fire Team!? 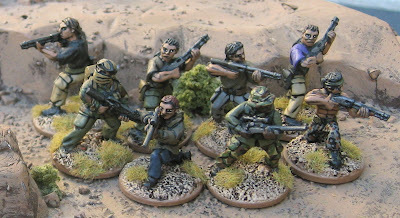 Shot up PAVN Fire Team. This left only the PAVN Sniper and with three to five more turns to flush him out we called it there saying the sniper bugged out. Checking on the rest of the casualties The medic found the RPG gunner to be lightly wounded. The PAVN Fireteam was pretty messed up; two seriously injured and two lightly injured. The Point Team was in a bad way as well; one was seriously wounded and the other lightly wounded. Amazingly there were no KIAs. 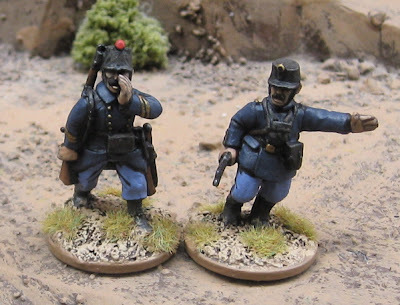 Not sure if I’m going to carry on with the next scenario in the Screaming Eagles book or just do something entirely different. 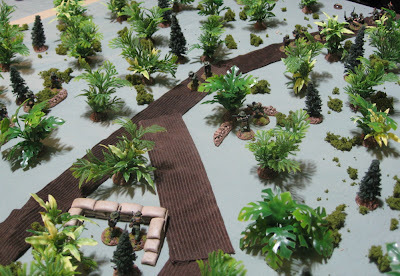 I think I’ll just play another infantry engagement with regulars versus regulars before adding vehicles or irregulars. I’ve got a schwack of other Moderns on the workbench and after this game I’m feeling pretty pumped to get at them. Hopefully next week we’ll get some more Force on Force gaming in! This weekend I’m running a Savage Worlds Weird War Two game at ToonCon 2012. I’ll probably post the AAR of that action over at Savage Timmy’s Playhouse. 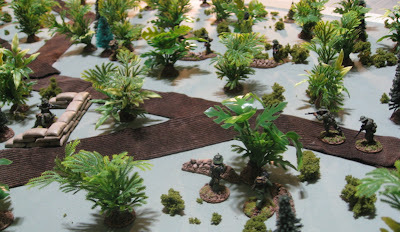 A few last items for the Savage Worlds game I a m running this Saturday at ToonCon 2012. Stay tuned for an AAR of our first game of Force on Force. 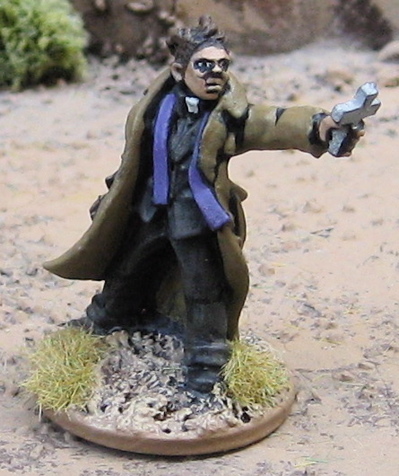 A Thrilling Tales preacher from Artizan Designs. I really like this figure – very dynamic! I can’t wait to see him in use in either a Pulp Cthulhu game or maybe spurring on some side or antoher in a 30s civil war…? Some more modern figures. The women are from RAFM, the fellow is from Copplestone Castings. 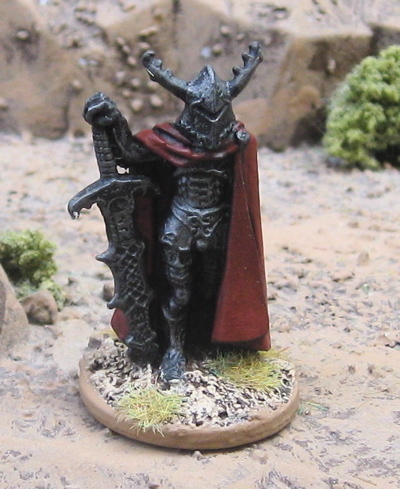 An Evil Knight… this is a really old figure I got in a box of junk… If I had to guess I’d say Ral Partha…? 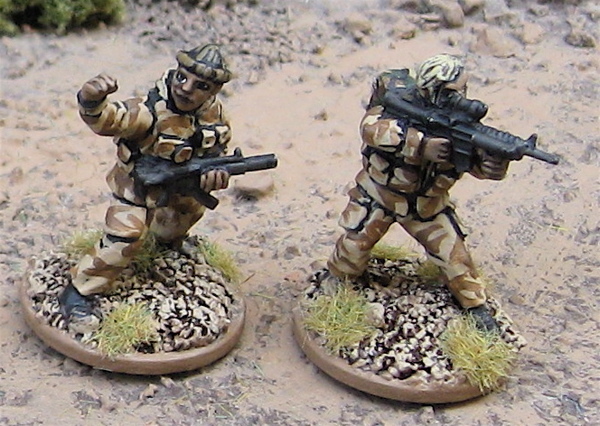 A few more Modern figures from The Assault Group. 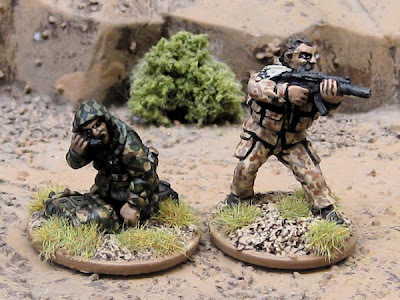 Armed civilians – mostly spare SAS figures. I suppose they could be special operatives in civilian clothes… or maybe they could be WOLVERINES! Another pair of SAS troopers. I hope to get back to both later this fall (or maybe winter...), but I recently picked up a copy of Force on Force and I’m pretty damn excited to try it out. 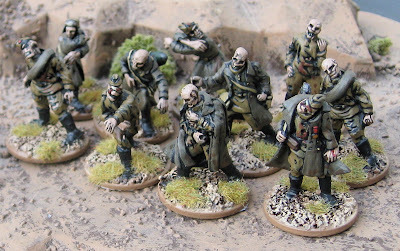 I've been reading reports of games of Force on Force and Ambush Alley on a number of my favourite blogs for a while now and I finally broke down and picked up a copy. I’ve been giving it a read through this past week and it seems to have all the elements I’ve kind of felt have been missing from Savage Worlds: Modern Ops. Hopefully I’ll get to play it sometime this next week… stay tuned for AARs! If ever I get around to playing Cold War Commander again I’ll just have to use sabotted bases... or perhaps entirely rebuilt all those forces in 6mm! Micro stuff is cheap - and it'd probably work better for that game anyway! In the meantime, here’s some stuff I’ve finished up recently. Some armed civilians. All are from The Assault Group’s assorted modern ranges. 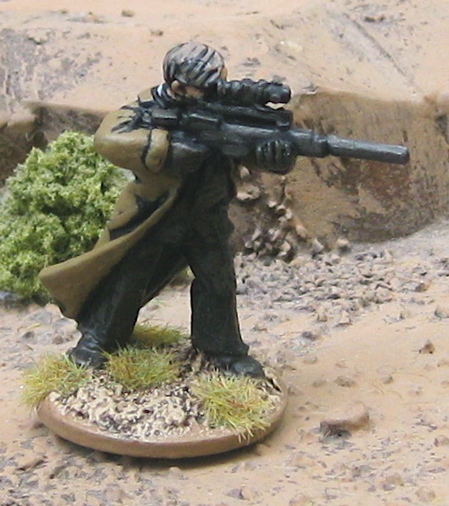 A British sniper – also from The Assault Group. “The Jackals” are the handpicked, elite personal guard of the president of Timbogo (the fictional African nation that has been the focus of some of my AK-47 Republic/Cold War Commander campaigns). The Jackals are ruthless and loyal and have been highly trained by foreign mercenaries that have boasted previous experience in various special operations forces throughout the world (SAS, US Special Forces, Spetznaz, etc.). “The Jackals” are actually surplus British SAS figures I had from The Assault Group. 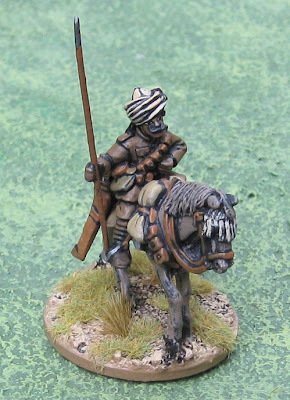 At some point I thought I might pick up some more 28mm Africans to play out some more clashes between the Federal Army of the Republic of Timbogo (F.A.R.T.) and their arch nemesis the Peoples Revolutionary Army of Timbogo (P.R.A.T.). I already have an African Generalthat I though could Head up P.R.A.T. The President for Life figure from Matakishi’s Tea House looks like a perfect leader for F.A.R.T. 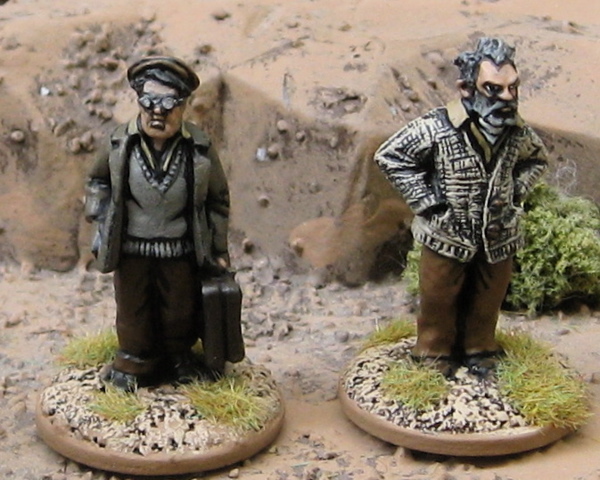 More minis… sometime… Could be Belgian Carbiniers or mreo modern stuff. 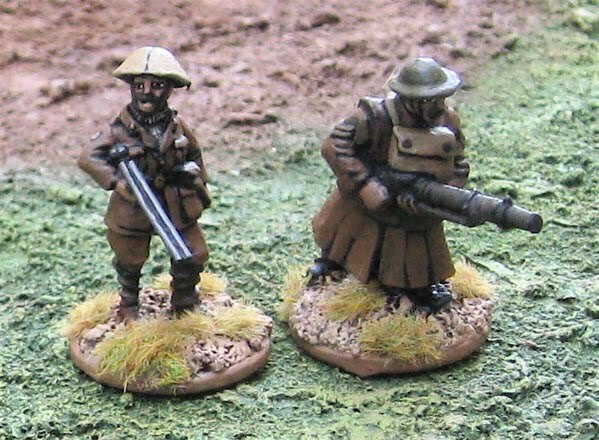 The rest of the Belgian Carbinier unit remains on the workbench, but they have been joined by a bunch of more modern items… More on that shortly. Wow… The upside of being sick all summer and rarely leaving the house was I was very (VERY) productive… With Summer over and coughing (more or less) faded and regularly scheduled activities resumed it feels like I hit a brick wall and productivity has ground to a halt! Hopefully in a week or so the dust will settle and I’ll have the kids Education Plan submitted and I’ll have some time again to paint toys and maybe even PLAY some games! 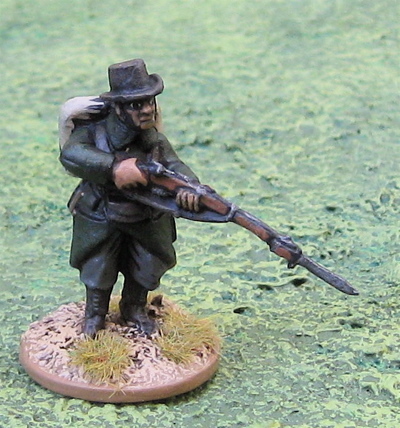 A Great War Belgian Carbinier from Great War Miniatures. 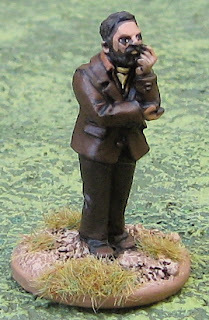 Some damned-fool, intellectual-type from Artizan Designs. Since I haven’t been painting much I cleared off the workbench and only left the remaining Belgian Carbiniers - so hopefully they’ll be next. Of course I may not get to them and end up putting them away and pull out something entirely different to paint…!? I was actually eyeing up some Zulu War and VSF martian stuff the other night... so who knows!? I should get playing some games (to get motivated) or I'm going to end up all over the place!? 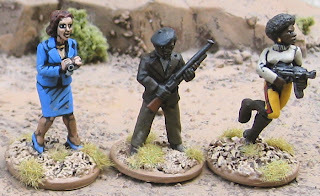 A couple pulpy characters from Artizan Designs Thrilling Tales line. 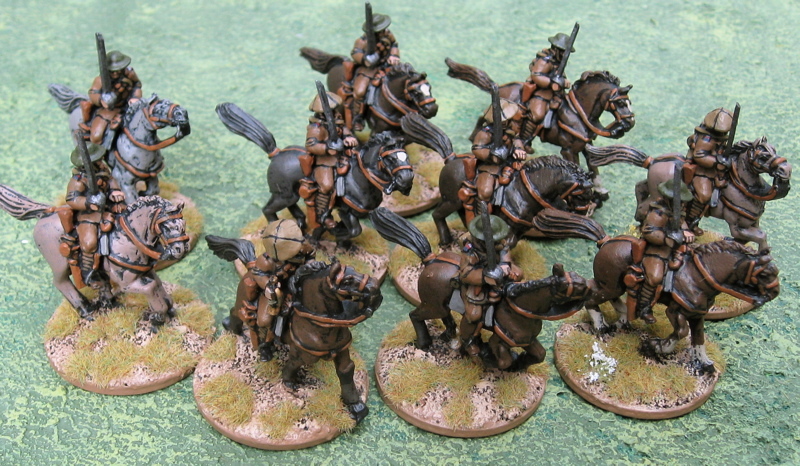 More odds and sods or Great War Cavalry. I decided to paint the Old Glory Great War cavalry I got from Paul as Canadian Light Horse. Partly because of Will’s suggestion, partly because I realized they were part of the Canadian Corps, as Corps Cavalry, whereas the remaining Canadian cavalry (Lord Strathcona’s Horse, Royal Canadian Dragoons, and the Fort Gary Horse), which made up the Canadian Cavalry Brigade, were part of a British Cavalry Division. While the latter took part in some of the same battles as the Canadian Corps, I’m not entirely sure they ever fought with, or in direct support of the Canadian Corps…? Figures are from Old Glory. The Canadian Light Horse had a coloured patch on their shoulder straps light blue over dark blue with a red band between. 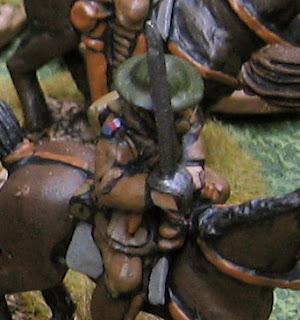 Otherwise they could easily be passed off as any other Canadian (or British…) cavalry unit. A sample of the Indian Cavalry from Brigade Games. Probably the Indian Cavalry… Then maybe the German Dragoons….? WW2 soviets are also being plinked away at as well as a few other things crowding their way onto the painting table these days.